The airfield on Isla Sorna was only briefly mentioned by Peter Ludlow as he wanted his jet to be ready to pick up the infant Tyrannosaurus. 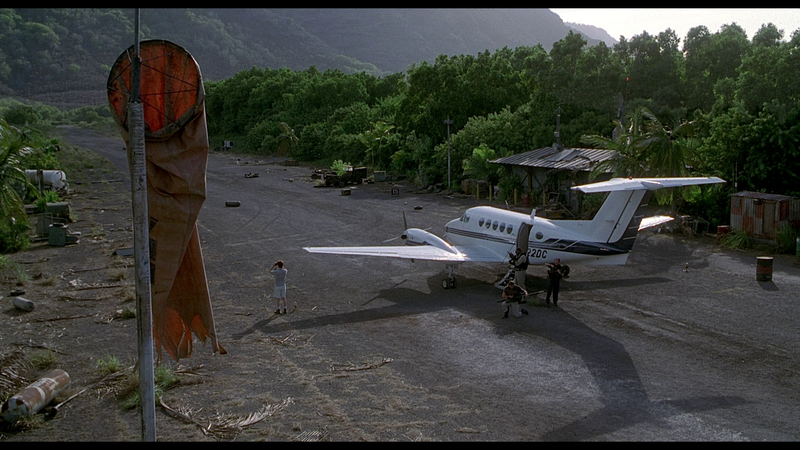 In Dr. Alan Grant‘s experience he got to see the airfield first hand in 2001, and it was shown it was in the middle of a border between Spinosaurus and Tyrannosaurus respectively. The airfield, constructed of dirt, is made up of at least two shacks, one being a bit larger than the other, a few storage tanks, and at least one aged windsock still hanging from it’s pole. The presence of other structures in the vicinity, if any, are currently unknown.